This walk/ ride goes through a small coastal hill range between Port d'Andrax and the village of St Elm. 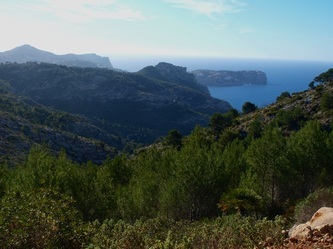 Once the Port d'Andratx urbanisation is left behind, heading towards Cala d'Egos, you will be in complete wilderness, on good dirt tracks closed to all motorised traffic. 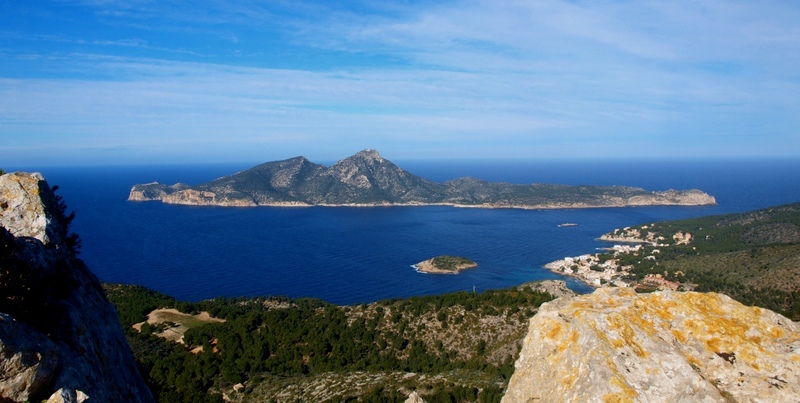 There are great sea views all along the way, with even better views on Dragonera island once over the antenna crowned ridge before St Elm. Hikers can either complete a loop on the Cala d'Egos trails, or push on to St Elm and use public transport to return to their starting point. This would be a full day walk. 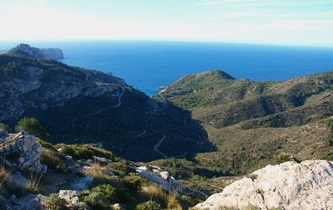 Cyclists can ride from Port d'Andratx to St Elm and return to their starting point along the main road in about 3 to 4 hrs. Note that bikes will have to be carried over the Pas Vermell, on a rocky dirt track less then a kilometre long. There are fairly frequent buses to Port d'Andratx from Palma. For those with a car, park behind the yacht club at the bottom of the Mon Port hill. For those riding from Palma, there are two ways possible: either go through Calvia/ Capdella/ Andratx or take the coastal road via Santa Ponsa/ Peguera/ Camp de Mar. Allow at least 1:30 minutes each way for the bike journey to the start of the trail. Riding to and back from Palma will make this a full day outing. 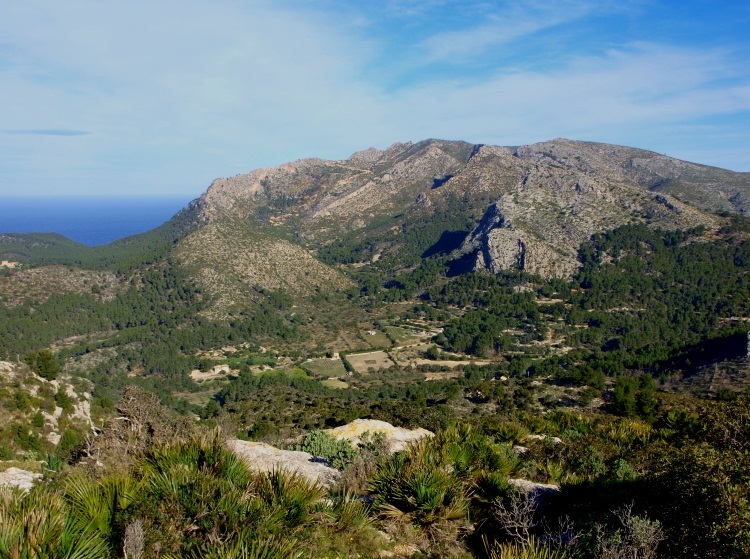 Start at point A behind the yacht club on the Calle de Cala d'Egos, a wide road at first asphalted then turning to a well graded dirt track, winding up the hill between affluent villas. This is the least attractive part of the trip. Walkers can follow the marginally more interesting trail going straight up the hill at the bottom of the gully. From point B, turn to the right onto a fairly rocky wide track. 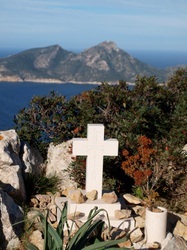 This follows the ridge at the top of the Calla Egos. 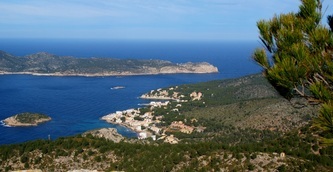 You are now in the country side, with pretty views on the cala below. At point C, it is possible to follow another track all the way down to the bottom of the cala, or make a loop back to Port Andratx on some of the trails further down the hill. 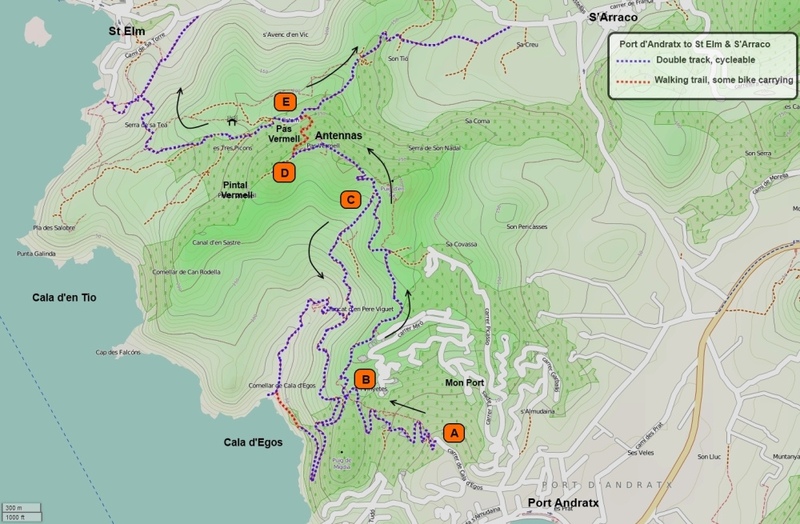 Most will continue towards point D, where the radio signal station is located. A few hundred meters further, look for a trail on your right hand side marked by cairns. 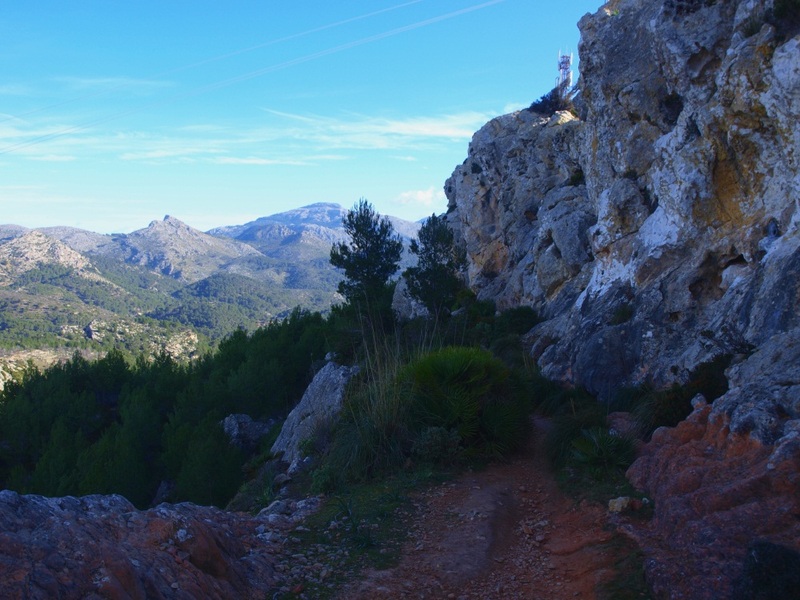 Leave the main track and follow this trail over the Pas Vermeil, over the hill and down passing at the foot of a series of small cliffs . Cyclists will need to carry their bikes and scramble over a few rocky passages. 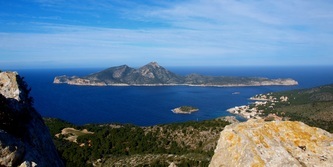 There are great view of Dragonera island beyond St Elm along the way. You will soon rejoin a dirt double track (E). Take a right towards S'Arraco, or a left towards St Elm. The trails go through some nice forests; follow the cairns through the many junctions along the way. The map is correct, so it pays to count the crossroads to establish where to go straight and where to turn. 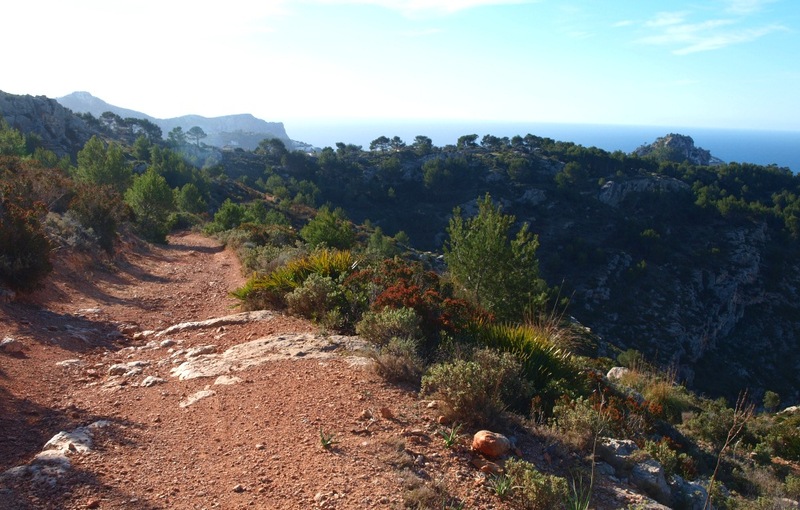 The trail towards St Elm eventually follows the coast, and after a succession of nice views over the bay of St Elm and Dragonera you will reach the village proper, from where you can take the main road back towards S'Arraco and Andratx, wait for a bus, or continue towards Sa Trappa Monastery.